Despite stopping over in Somerset for two nights I only had one full day to explore so I decided my best bet was not to stray too far from where I was staying (Shepton Mallet). 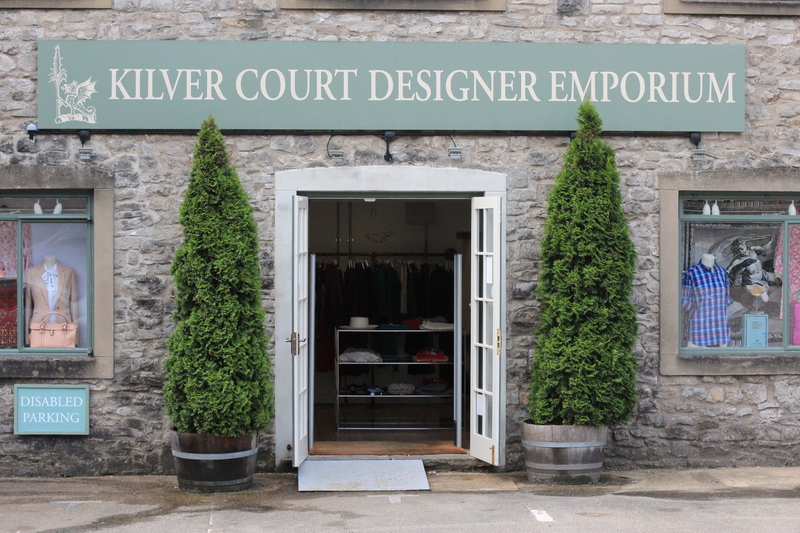 My first stop was the Kilver Court outlet in Shepton Mallet itself. As it carries two of my favorite brands (Agnes B and Margaret Howell) and as it was just a few minutes away from where I was staying it was a racing certainty that I would go there. 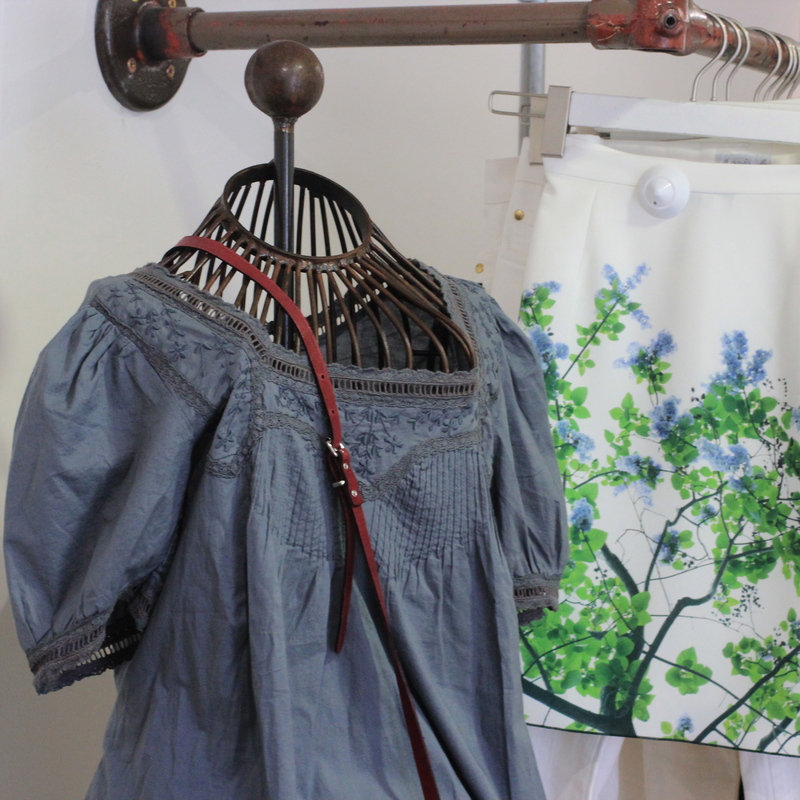 The outlet is in a set of old industrial buildings and it’s owned and run by, Roger Saul, the founder of Mulberry. Unlike other outlets I have been to most of the shops at Kilver Court are not in separate units but share large spacious rooms. And Kilver Court has more limited stock than some of the big outlets I have visited. However I still felt it was worth seeing and I bought a much reduced blouse and a jumper in the Margaret Howell section. 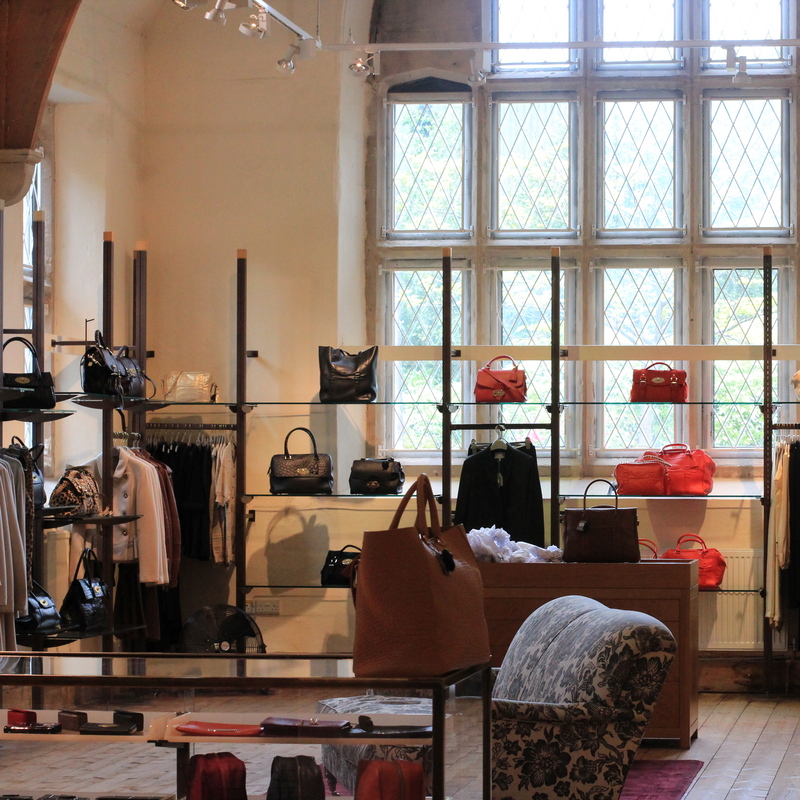 As far as I know Roger Saul no longer has any connection with Mulberry but on the Kilver Court site, a little away from the main emporium, and housed in an old stone building, that was once a school, is a large Mulberry outlet shop. I browsed but didn’t buy: I suspect the shop is a mecca for lovers of the brand. Having fortified myself with tea and coffee cake at the Kilver Court café I then whizzed over to one of the UK’s smallest cities: Wells. 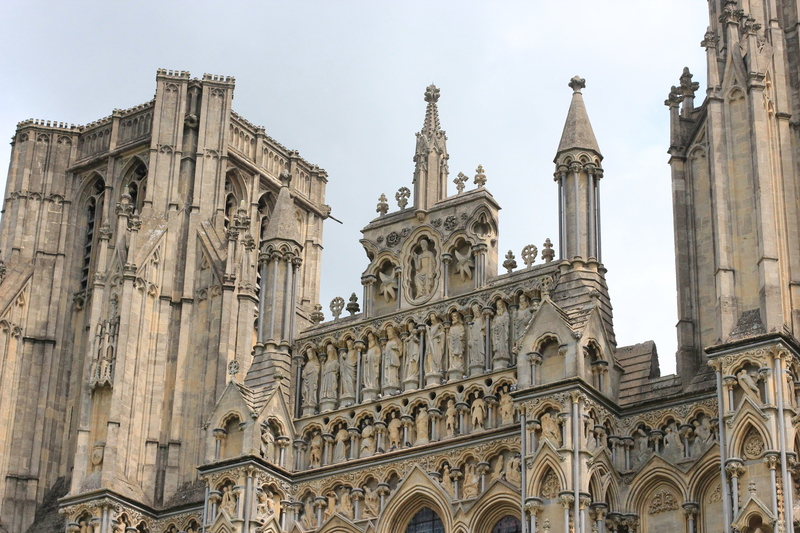 I had heard that Wells Cathedral, the building of which started in the 12th century, was worth seeing. That is a dramatic understatement as it is one seriously magnificent building: I could easily have spent a half day there. However the clock was ticking and time was ebbing away like a swift flowing river so I didn’t linger. In retrospect I wish I had taken the hour-long guided tour as I suspect contextual knowledge would have greatly enhanced my enjoyment of the architecturally splendid cathedral. As I was in cider country I deemed it impolite not to sample the local drink. So my next stop was Hecks Traditional Farmhouse Cider shop. Six generations of the Hecks family have made cider so it’s safe to assume they know what they are doing. 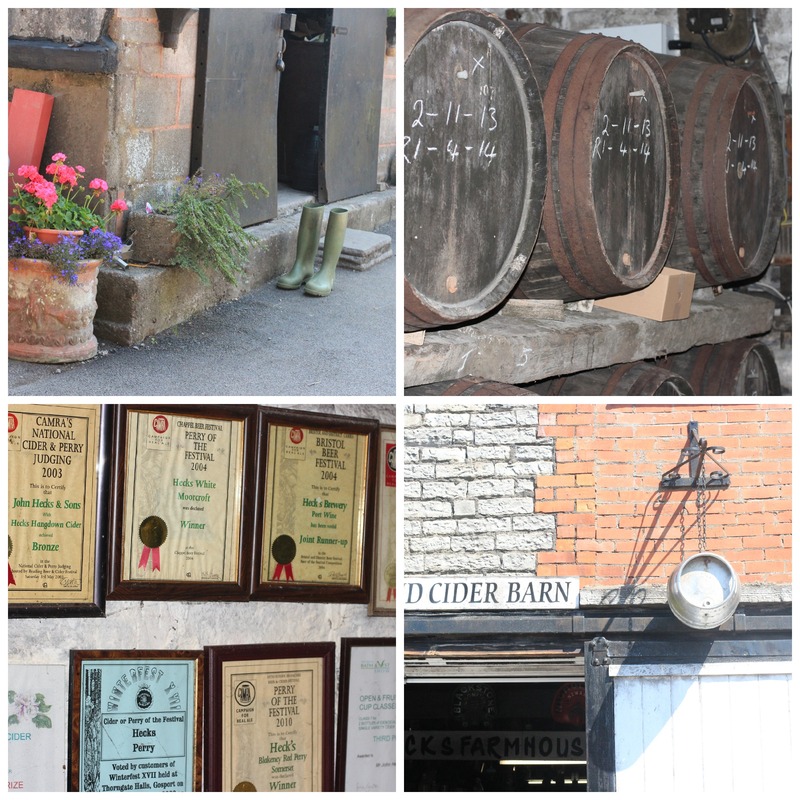 Sadly the orchards aren’t next to their premises but there was lots of interesting cider paraphernalia to look at. I sampled a half glass of the award wining cider which is fermented in wooden barrels: it was good. And I bought some of their famous apple juices to take home. They too were good. My final stop was Glastonbury. 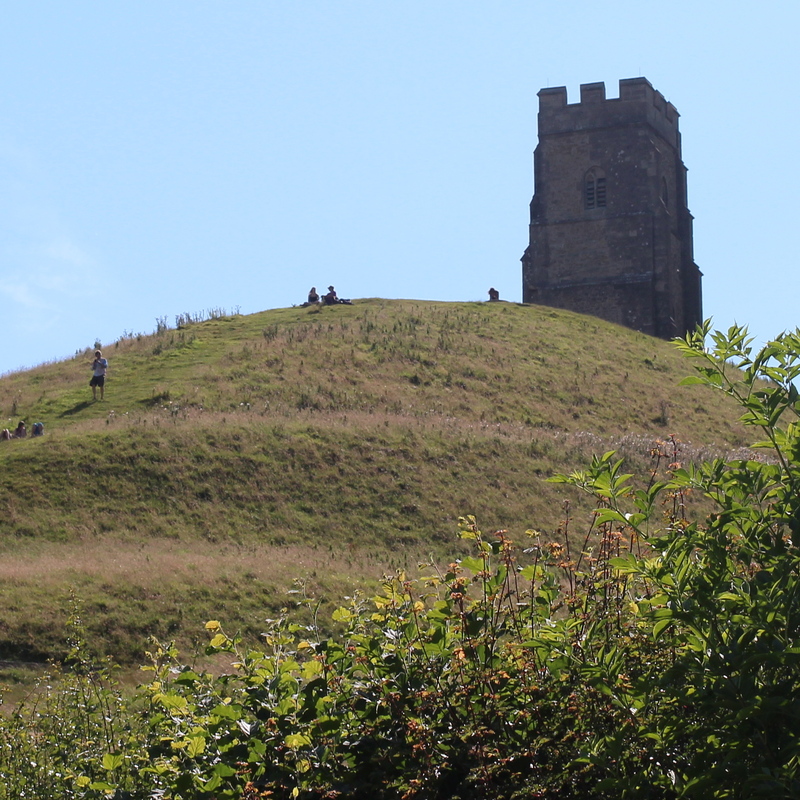 I had come to see Glastonbury Tor, a conical hill which rises from the surrounding flatlands and on top of which stands, the now roofless, legendary 15th century St Michael’s Tower. The much-visited site is managed by the National Trust. The view from the top of Glastonbury Tor is apparently spectacular: I chickened out half way up, not because the climb was difficult, but because my fear of heights was starting to kick in. Still and all the view from my half-way vantage point was pretty good. Then it was back to base. What a beautiful part of the world. I need to go back to England soon. I found Somerset lovely and I wish I had had more time there. I hope you get back to England soon. I think I could live in either England or Ireland and be very happy. Your photo’s are just so beautiful and utterly charming, must say that Cathedral is magnificent. What lovely pictures! 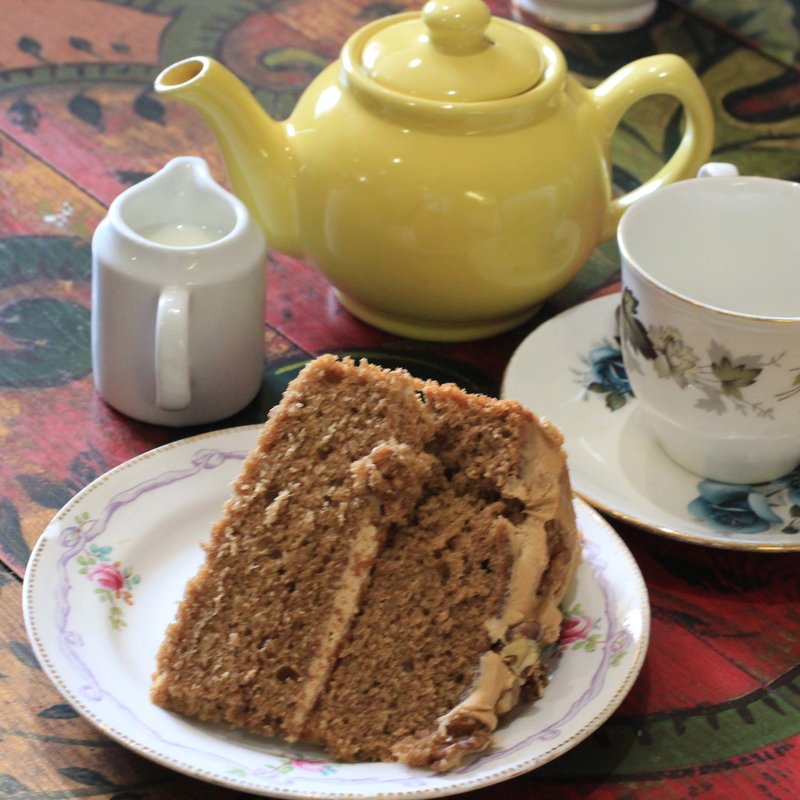 It sounds like you had a wonderful time in Somerset 🙂 I especially enjoy the picture with the yellow teakettle and the delicious looking slice of cake! Thank you Heather. That offee cake was good.It was made with spelt flour. Apparently the owner of Kilver Court has a farm and he grows spelt there. 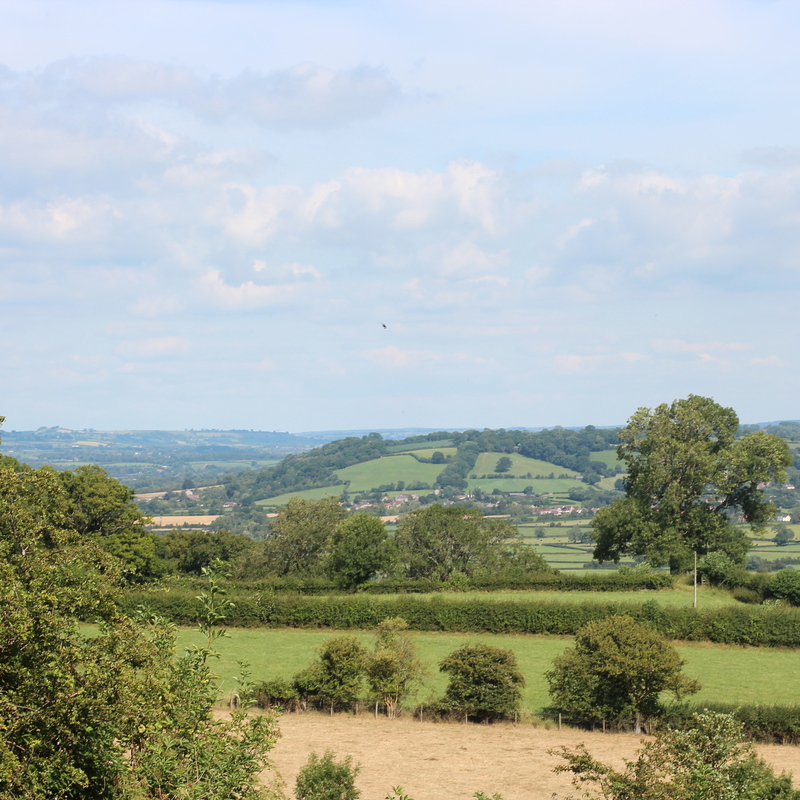 I enjoyed my limited time in Somerset a lot and would like to go back some time to see more of the county. I wish I could have joined you for a glass of cider. I love real cider. My goodness you managed to do a lot. I probably would have chickened out half way up, too. I have a terrible head for heights. I think that was the first time I tasted real cider – a pity you couldn’t join me as it was good. I almost forgot about my fear of heights when I started the climb as it didn’t look too vertical but then half way up I saw the narrow path and the sets of steps snaking around the hill. And I started imagining falling off soI had to stop my ascent. That would be just like me. And then if I happened to make it to the top I would get terrified half way down! So if we ever meet we are going to walk on the level, preferably a canal pathway or something like that. Shopping, sightseeing and a wee tipple – lovely photos too. The photography course must have gone well! Beautiful photos. I like Somerset a lot, as well as Devon and Cornwall. You can’t beat the tea shops down there. That cake looks delicious. The cathedral looks amazing too. Emma. The cake was delicious! Thank you Emma for the compliment on the photos. I was blown away by Wells cathedral, inside and out. I hope to get back to Somerset one day to do some further exploring. I have never been to Somerset. I don’t know why but every time I go to England I end up staying in London. What a lovely place and what a wonderful time you must have had. Shopping, eating, visiting hystorical beauties, enjoying yourself and relaxing … what’s not to love? Sounds like you were where I love to visit someday. generous!! My holiday in England was so good. It was great to have my car with me to drive around it and I really liked the places I visited. Thanks for your comment. Lovely photos..you really seem to have captured the “soul” of the sights there. I love the way you took us through your day here and have to agree on the heights….yikes! But am impressed you made it as far as you did! As always, I enjoy “traveling” with you. I hope you are able to make it back to the Wells Cathedral and take the tour. Thank you so much. I hope to get back another time to Somerset and do that tour of Wells Cathedral but it could be years hence.